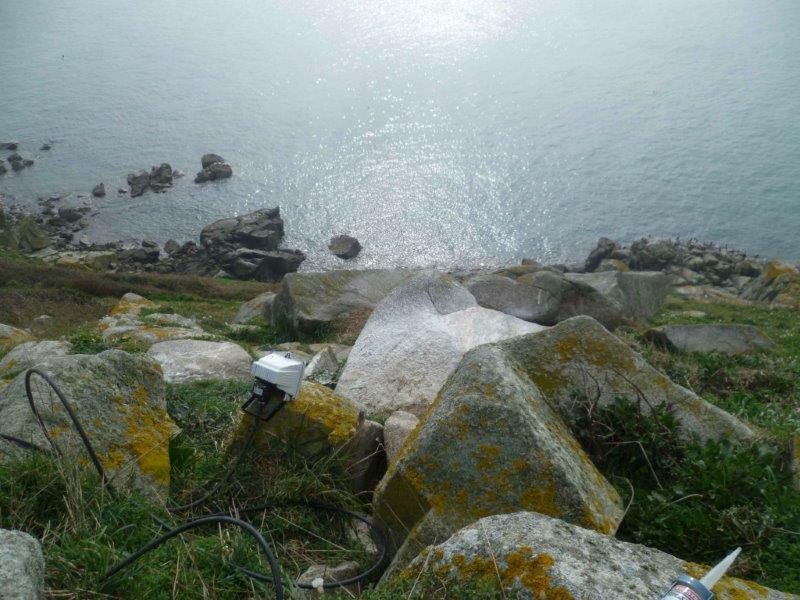 The seabird web camera initiative was originally devised as a means to monitor what was causing the failure of the Common Tern breeding site on the Humps, following the unexplained total failure in 2014. From this initial idea came the concept of providing greater public awareness of seabirds generally in the Bailiwick, and the web camera grew from a monitoring device to a public awareness initiative. The Great Seabird Wreck of 2014, when more than 50,000 seabirds (half of which were Atlantic Puffins) were washed up dead on coasts of SW England, the Channel Islands, NW France and N Spain, highlighted the need for greater protection for our local breeding seabirds and the web camera is a part of a package of measures to address this. With the support of the States of Guernsey Environment Department who are responsible for the management of the Humps off Herm, La Société Guernesiaise seabird volunteers started to develop a plan for installing a web camera on the Humps in September 2014. 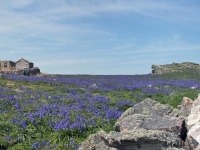 This would be based on the success of the Alderney Wildlife Trust’s Puffin camera and a close cousin – the Guillemot - was chosen as the seabird star. Key to this was the expertise and knowledge of two technical IT enthusiasts who volunteered numerous hours to develop and build a suitable camera and programme to support it. This work was mostly carried out in the small hours of the night between all their other work and family commitments. The costs were kept to a minimum as the camera was built from a Raspberry Pi and camera module. This equipment cost a total of £238 and sponsorship was sought and kindly provided by the Co-op who provided £500 to invest in suitable equipment. A wooden frame to support the solar panel was built by Mr Sarre who provided all the wood and his hours free of charge. A site visit to the Humps in January, courtesy of States of Guernsey Sea Fisheries, allowed the seabird volunteers an opportunity to designate a suitable position on one of the Humps which would offer good views of breeding Common Guillemots. 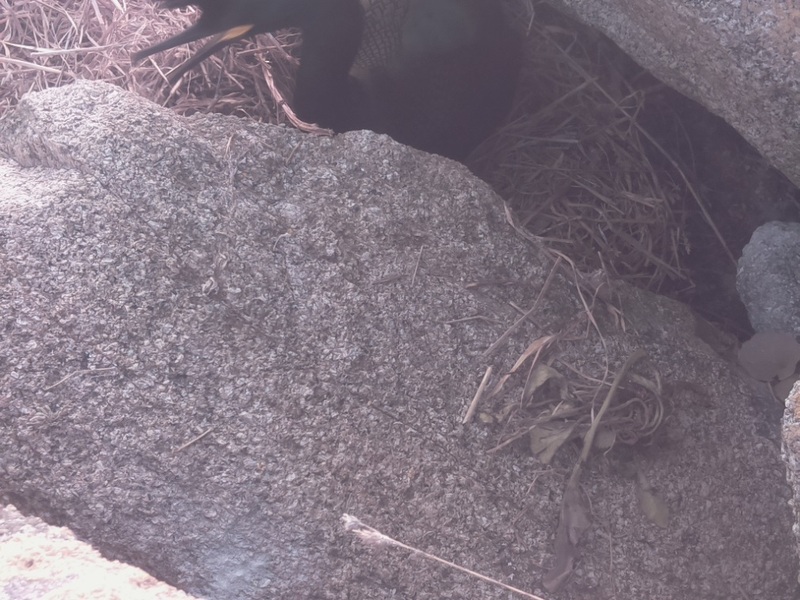 It was also a great opportunity to gauge the levels of returning seabirds and it was noted that the Great Cormorants were already back on their breeding sites and establishing nests (Guernsey’s earliest breeding seabird). 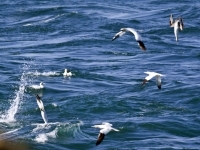 However, a team meeting back on Guernsey to review the time needed to deliver and install the web camera and power supply in conjunction with the potential impacts due to disturbance on the seabirds came to the conclusion that there was a high risk of failure if this project was pursued for this season. Plan B was soon developed with Jethou Island identified as an easier location to transport and install the camera in this its trial season. 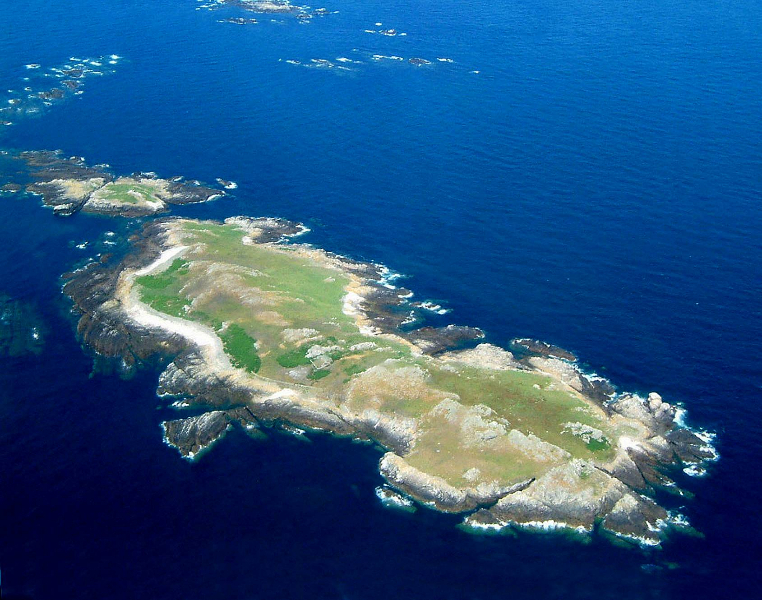 A new seabird species which breeds on Jethou was selected and arrangements put into place to deliver the equipment to site, courtesy of the Jethou Island tenant. 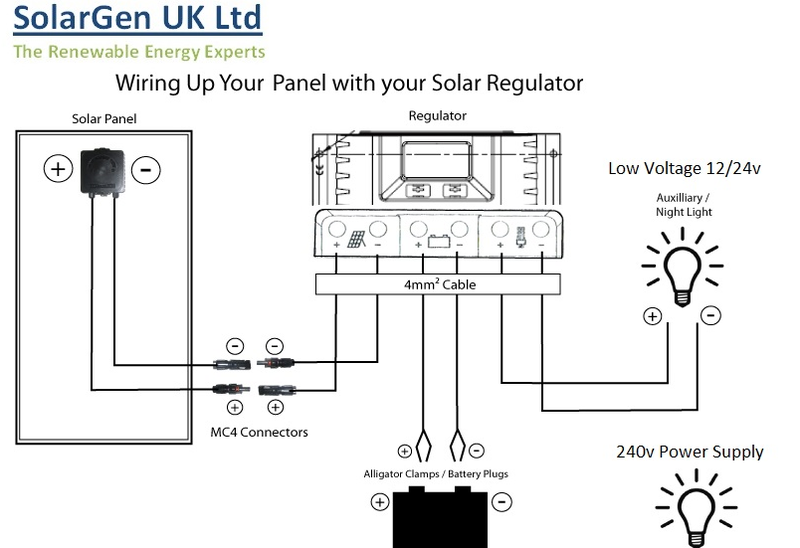 Vic Froome developed a robust securing mechanism for the solar panel to ensure that stormy weather or high winds would not damage the equipment. Again the raw materials for this were provided at a very preferential rate by Stainless Steel Fabrications. In addition SGB kindly loaned a power tool for the installation, free of charge. The other significant cost was the mobile phone 3G mobile contract which costs £20 a month and is required from March – July. A test run of the camera was carried out in the back garden of one of the seabird volunteers to ensure that the equipment would work. The camera was focused on a Eurasian Kestrel box and the first image captured shows the kestrel (as well as 2 Stock Doves) sitting on the box. Numerous visits to the web camera in the seabird volunteers garden over the next few weeks were made to make minor adjustments and improvements. 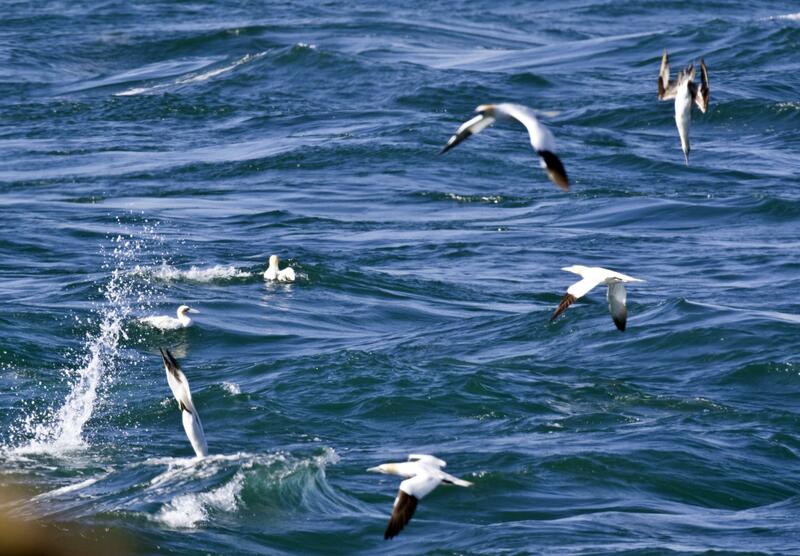 The seabird web camera was installed on Jethou on 17th March 2015. This was only possible with the support of Jethou island staff who transported the equipment over to the island including camera, solar panel, car battery, support structure and weights. 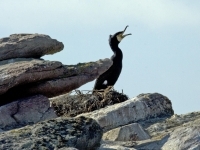 The south west coast of Jethou Island was chosen for the site to install the web camera due to previous experience of Shags nesting in this area. 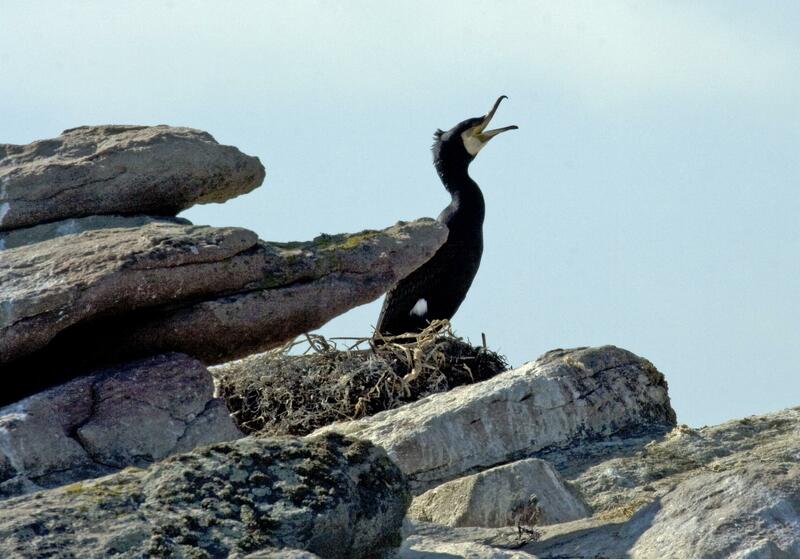 A suitable Shag nest was chosen (no eggs yet) and installation was carried out by two seabird volunteers within an 1 ½ hours. 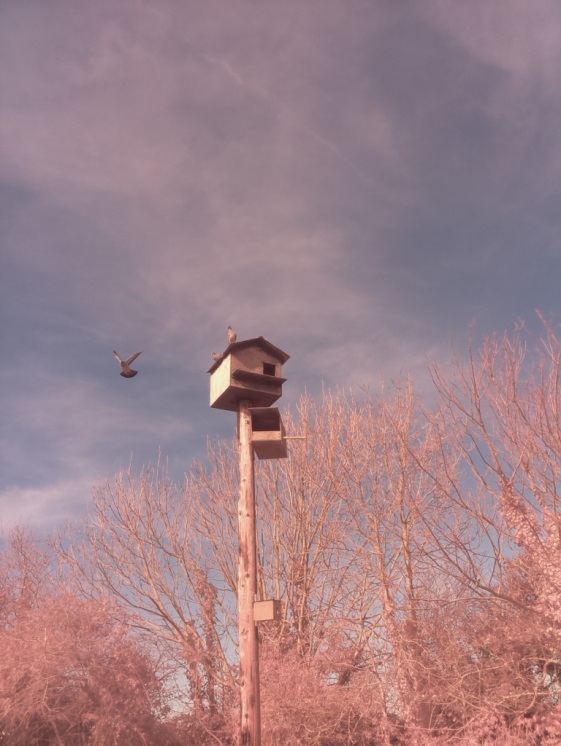 Although the exact positioning of the web camera requires adjusting the first image of an adult bird on the next was taken that day, see below.